Local television networks are all gearing up for the coverage of President Rodrigo Duterte's first State of the Nation Address, happening tomorrow at the Batasang Pambansa. As announced by ABS-CBN, Lynda Jumilla and Ted Failon will be leading the network's coverage at 3:20PM. Its cable news channel, ANC, for its part, will do an all day coverage beginning at Mornings@ANC, with the coverage proper to be anchored by Karmina Constantino and Tony Velasquez at around 3PM. GMA-7's "Du30: Unang SONA" coverage, meanwhile, will be headed by Mike Enriquez and Jessica Soho, while CNN Philippines will also be doing an all day coverage to be led by Pia Hontiveros, Pinky Webb, Ina Andolong, David Santos, Mitzi Borromeo and Claire Celdran. Over at TV5, Cheryl Cosim and Erwin Tulfo will be sharing anchoring duties all throughout the day, while state-owned PTV4's coverage will be led by Kathy San Gabriel, Veronica Baluyut-Jimenez, Aljo Bendijo, and Rocky Ignacio. In a press conference held Sunday, former TV5 anchor and now Presidential Communications Office Secretary Martin Andanar said that Duterte's speech "will be a very powerful speech that will awaken the patriot in every Filipino." "When I read the speech, ayaw ko pong mag-exaggerate pero the first time I read the speech, it made me cry. Ganoon po kaganda, ganoon po ka makabagbag-damdamin iyong speech ng Pangulo natin," he said, adding that it has been revised at least 10 times and is expected to last for at least 38 minutes. 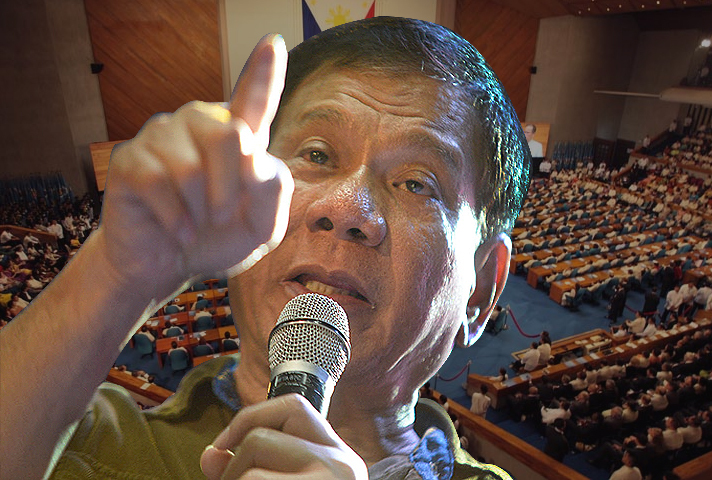 MNP Poll: Where on TV will you be watching the coverage of Duterte's 1st SONA?